Most articles and guides written on credit scores focus on where your credit score needs to be, or how to improve it. We’re going to take a bit of a different approach, and focus instead on things that can affect your credit score in a negative way. By avoiding those situations and practices, your credit score will improve automatically. Oftentimes, you fall into these situations simply because you don’t understand how important they are. But that’s exactly what we’re going to emphasize, to help you improve your credit score by avoiding the factors that can hurt it. As you’ll see, improving your credit score is about a lot more than making your payments on time. You should also make it a practice of checking your credit score regularly. Anytime a credit score is provided, it’s also accompanied by a list of negative factors that hurt your credit rating. zeroing in on these factors is the “secret” to developing and maintaining a high credit score. Payment history. It makes sense that payment history is the single most important factor at 35%. That indicates your payment performance on your obligations up to this point. Length of credit history is just what it says. The longer you have had active credit, the more favorable it is for your credit score. For example, if your total credit history is more than 10 years old, you may have a credit score well over 700. 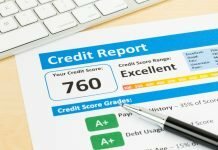 But if you’ve only had credit for the past two years, it may be difficult getting your score even close to 700.
Credit mix relates to the various types of credit you have. Ideally, the credit scoring models like when you have a balanced mix. For example, if you have one mortgage, one car loan, one retail installment loan, and thee credit cards, that will be considered a positive mix. By contrast, if your credit consists only of five credit cards, it’ll work against your credit score. It indicates you have too much reliance on a specific type of debt. New credit. Most consumers have at least one recent credit account opened in the past few months. But too much new credit is considered negative. If most of your credit lines are recent, it will hurt your credit score. The problem is a lack of history on the loans. The credit bureaus are not able to properly assess your ability to manage the debt, due to the limited payment history. Amounts owed is more complicated than the other factors. But notice it closely follows payment history, with a 30% weight. The reason for its high weighting is because it’s a major predictor of loan default. It’s also a major reason why your credit score may be low, even though you have an excellent payment history. However, the factor doesn’t relate to a certain dollar amount owed. That can vary between individuals, based on both income and wealth. There are two major factors that contribute to amounts owed. The first is your credit utilization ratio. That’s the amount you owe on revolving lines of credit, divided by your total credit limits. For example, let’s say you have four credit cards with total credit limits of $20,000. You owe $5,000, so your credit utilization ratio is 25% ($5,000 divided by $20,000). Let’s take the same situation, except you owe $15,000 on your credit lines. Your credit utilization ratio is now 75% ($15,000 divided by $20,000). The scoring models like a credit utilization ratio below 30%. To the degree it exceeds this percentage, it has a negative impact on your credit score. If it exceeds 80%, it’s considered indicative of potential default. Put another way, it means you’re maxing out your credit limits. The second factor is the amount you owe on installment loans, compared to the original loan balance. For example, if you took an auto loan for $20,000, and the current balance is $18,500, this is considered a higher risk factor, than if you only owed $9,000. It’ll have a negative impact on your credit score. 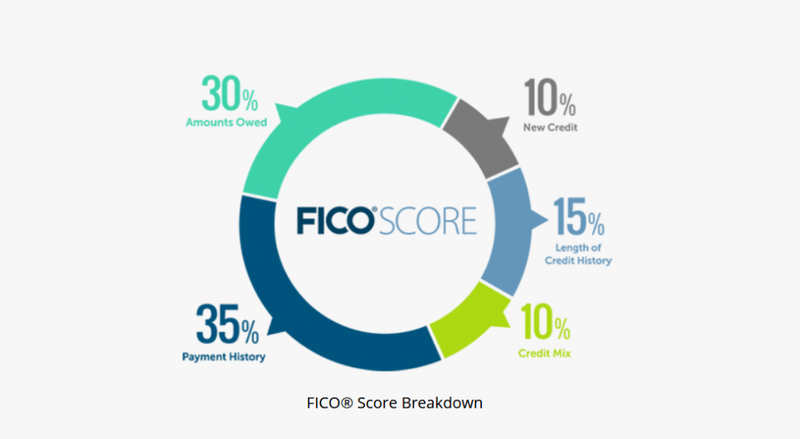 Your FICO score can range anywhere between 300 and 850. 300 is the lowest possible score, and to be honest, I’ve never seen one nearly that low. 850 is the maximum, and it’s almost as rare. There’s no published list of how many points you’ll get for making a certain change in each credit factor. But the point spread above shows the potential of what can be done to improve your score within each factor. And as you can see from the list, the best strategy to improve your credit is to concentrate on payment history and amounts owed. Those two categories alone account for 357.5 of the 550-point spread between the highest and lowest credit scores. Now that you know how your credit score is calculated, let’s look at 10 things that can affect your credit score in a negative way. There are actually dozens of factors, but we’ve reduced the list to the most common ones. Please note – there is no published list of how much each issue can affect your credit score. 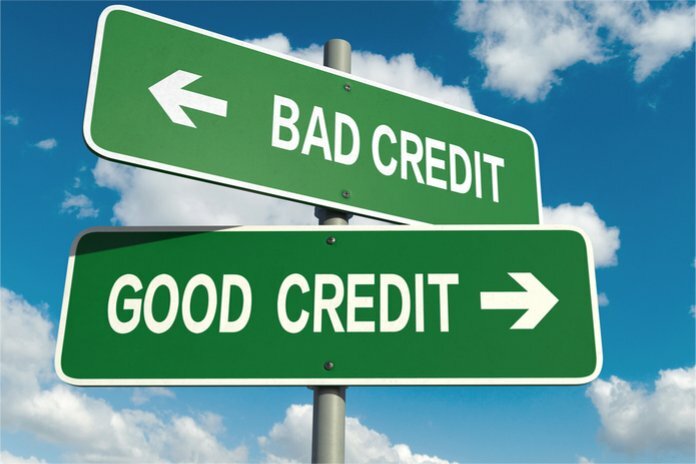 Since the factors going into your credit score are unique to your own credit profile, the specific impact of any derogatory information will vary. There’s even some indication that negative information has a bigger impact on those with higher credit scores, than on people with lower ones. Your score, and the factors that make it up, are determined by an algorithm. The details of that algorithm are not released to the general public, and are adjusted from time to time. Also be aware that the more recent a negative entry is, the greater the impact it will have on your credit score. For example, a 30-day late payment two months ago will have a much greater impact than one from two years ago. We’re all familiar with loan payment due dates. But in most cases, a late payment won’t be reported to the credit bureaus if you miss the due date by a few days. Creditors report late payments once it reaches the point where you’re 30 days or more past due. If you have a late payment, it will remain on your credit report even after you bring your account up-to-date. It will then remain on your credit report for up to seven years. However, the impact of a late payment will decline as it gets older. Technically speaking, anytime you have a late payment, there’s a past due balance. Depending on the creditor, a past due balance may be converted to a collection or charge-off after as little as 90 or 120 days. Collections and charge-offs are more serious than late payments, because they indicate you’ve defaulted on the obligation. In most cases, the creditor has also closed out your account. One important factor with collections and charge-offs is that they aren’t always the result of unpaid loan balances. They can also appear as a result of unpaid medical bills, utility charges, cell phone accounts, and even gym memberships. Depending on the amount of the collection, and the source, the impact on your credit score can be anywhere from a few points to 50 or more. Collections and charge-offs will also remain on your credit report for up to seven years. But it’s always best to pay them off. The collection or charge-off will still appear on your credit report, but it will show as “paid”. And a paid collection or charge-off is always better than an unpaid one. Public records generally have a bigger impact on your credit rating than other types of derogatory information. They indicate a loan – or your total financial situation – has reached the point where one or more creditors have had to take legal action. These are considered major derogatory events, and they naturally have a much greater negative impact on your credit rating. It wouldn’t be unusual for your credit score to fall by well over 100 points after a bankruptcy or foreclosure. Like other credit items, public records stay on your credit report for up to seven years. However, a Chapter 7 bankruptcy will remain for 10 years, though a Chapter 13 bankruptcy will disappear after seven. A credit utilization ratio of 30% or less will have a positive impact on your credit score. But as you move beyond this ratio, the impact is increasingly negative. At more than 80%, your credit score will be way down, no matter how much good credit you have. A ratio that high could cost you anywhere from 50 to 100 or more points on your credit score. The good thing about an excessive credit utilization ratio is that it doesn’t remain on your credit report. It’s only a problem for as long as the high ratio exists. Pay down your balances. Even dropping the ratio from say, 85%, to 65%, can increase your score significantly. Increase your credit limits. You can do this either by asking current creditors to increase your credit limits, or by applying for new credit lines. However, that may be difficult to do with a credit score hurt by a high credit utilization ratio. At the same time, there’s a credit strategy some people use that backfires. In an effort to get out of debt, they closeout credit lines after they pay them off. This can hurt your credit utilization ratio because it eliminates the credit line. For example, let’s say you pay off and closeout a $5,000 credit card. Before the closeout, you had $20,000 in total credit limits, on which you owed $10,000. Your credit utilization ratio is now 50%. But as a result of closing out the $5,000 credit card, your total credit limits now dropped to $15,000. You still owe $10,000 on other credit cards, but the credit utilization ratio rises to 67% ($10,000 divided by $15,000). By closing out the credit line, your credit score falls. This is a numbers problem. If you have three current auto loans, four open installment loans, and eight out of your 10 credit cards have balances, the concern is that you may be approaching the point of default. This is similar to a high credit utilization ratio, in that it can cause you to have a low credit score, even though you have an excellent payment history. It can indicate you may be reaching a point where you can’t continue servicing your debt. It can also be a sign you rely too heavily on debt, perhaps due to insufficient income. If you have this situation, the best strategy is to gradually reduce the number of open loans and credit card balances. Alternatively, you might consider doing a debt consolidation loan. But if you do, make sure you don’t continue using the credit lines you’ve already paid off, otherwise you run the risk of going even deeper in debt. Credit inquiries occur each time you apply for new credit. They stay on your credit report for up to two years, but the more recent the inquiry, the greater the impact on your credit score. One or two inquiries in the past few months won’t have much of an affect. But the scoring models will view numerous inquiries as a sign of trouble. They may see it as an attempt to max-out your credit, possibly to cover a major reduction in income, or a big spending spree. A single inquiry will only drop your score by a few points. But several will have a bigger impact. Limit your applications for new credit to no more than two or three per year, and space those out accordingly. Even if you’ve had a credit history going back many years, too much new credit can hurt your credit score. The problem is that new credit doesn’t offer sufficient evidence you’re able to manage the new obligations. There are no published guidelines indicating how this affects your credit score in terms of points. But if you have six credit lines, and three have been opened within the past few months, you’re probably taking a big hit here. This is another credit score factor that will be solved by the passage of time. But do your best to avoid getting into this situation. You can do that by limiting new credit lines or loans to no more than one or two per year. This will be especially important if you don’t have a whole lot of credit to begin with. This factor represents 10% of your credit score. It has a negative impact if you have too much of the same debt. In terms of points, the impact isn’t particularly great, since it only represents a small slice of your credit score. But if you’re looking to improve your score, this is a fairly easy way to do it. For example, if you have five credit lines, and they’re all credit cards, it’s hurting your credit score. To change the situation, pay off a credit card, and add an installment loan. 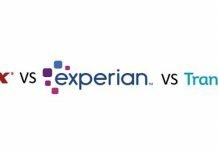 And while you certainly don’t want to do either of these strictly to improve your credit score, getting a car loan or a mortgage will help you to maximize the credit mix portion of your score. Your credit mix is not time sensitive either. It will improve as soon as you change the mix. This factor has to do with the age of your credit overall. If you’re a young person, or new to credit, this factor will work against you. You simply don’t have the depth of credit history to maximize the contribution from this factor. Perhaps more than any other factor, credit age is the most time sensitive. It can only be corrected by the passage of time. We can’t assign even a rough credit score point drop to this factor, but rest assured a short credit history will weigh down your credit score for several years. The good news is that it improves with time. But this is why it’s so important to establish a good credit record early in life. You may even want to take some loans or open some credit lines even if you don’t need the money. This is related to credit age, but it has less to do with time than with volume. It can be a negative factor for someone who has generally avoided using credit in the past. For example, let’s say your credit history goes back more than 10 years. That’s a positive. But if your report contains only two entries – both paid loans from several years ago – your credit score will be dragged down by the lack of information. Now even though those two loans were paid, and had a perfect payment history, your credit score may be stuck at 650. It’s not because you’ve done anything wrong, but rather because there’s a lack of information to produce a better score. This one is more than a little bit ironic. If getting out of debt should be a goal in life, it does have the potential to hurt your credit score. For that reason, you might favor debt minimization over elimination. Though there are only five factors that are used to compile your credit score, there are at least twice as many that contribute to it on a more detailed level. Most people are either unaware of all these factors, or simply too busy with life to understand all the details. That’s why it’s so important to be checking your credit score on a regular basis. 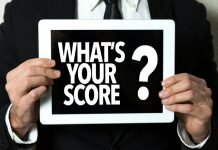 If your credit score is not where you want it to be, you’ll have to look at the component factors that are dragging it down. Each credit report that contains a credit score should indicate a list of reasons why the score is what it is. These are usually negative factors. You’re likely to see several of the items listed above on your credit report. If you do, take them one at a time, and work to improve each category. It can be a slow process, but you’ll see positive results in time.